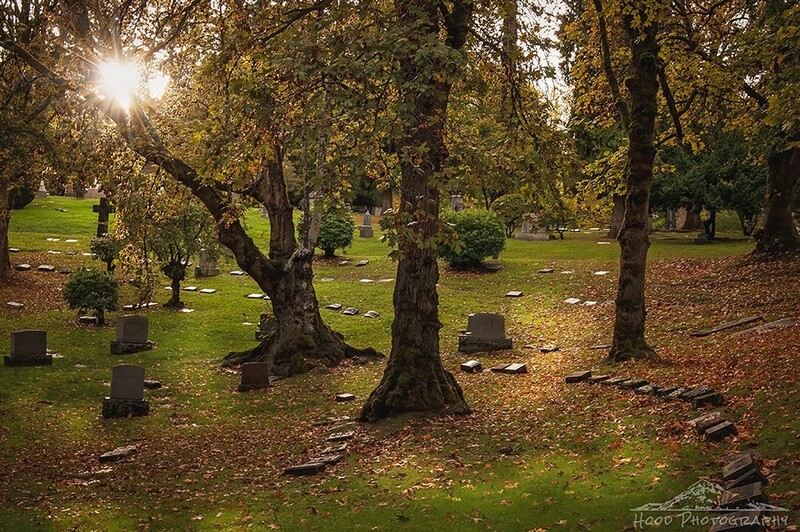 We were leaving River View Cemetery on a soggy grey Oregon autumn day when the skies opened up for just about 5 minutes and we enjoyed some golden sunshine peeking through the trees. I snapped this photo and then, as quickly as it began, it was over. Beautiful capture!! We are having a bit of a problem keeping the sun around here in Oregon lately, aren't we!!! Hope you have a great weekend! Great light in this shot! Pretty capture of the sunburst. The trees and colors are lovely. Happy Skywatching, enjoy your weekend! A golden moment in time! Oh that golden is beautiful indeed. You have to take the sun when you get it! Great shot.